It’s obvious that Mum or dad is not always, especially now that most couples combine the care of their children with 2 full-time jobs. Let alone if you are single. That often requires a large portion of multitasking and this picture, which in the meantime goes viral on the internet, is a good example of that. The American Jazmyne Futrell has 4 children and sometimes does not know where her head is anymore. 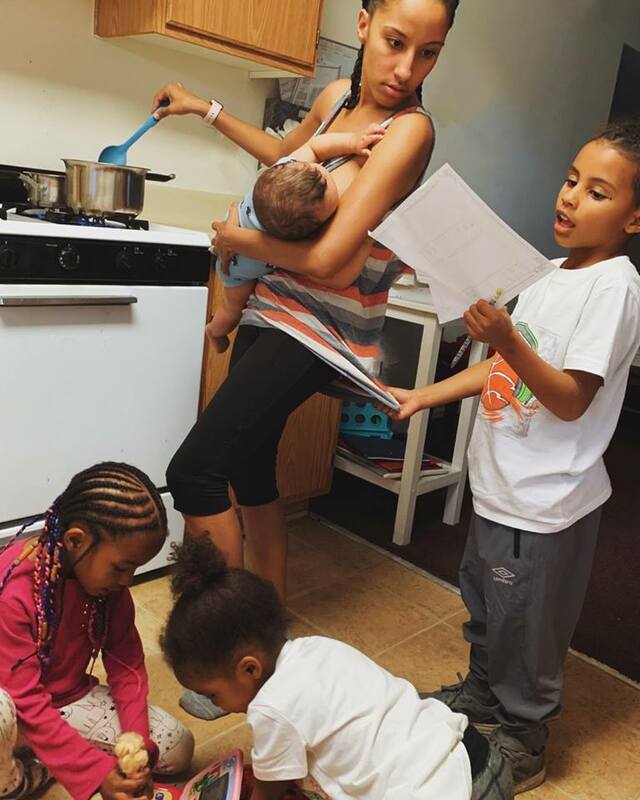 Instead of posing perfectly on social media, she just shared a very honest photo online showing how she is cooking while breastfeeding her youngest and reading her son’s homework. Her other children are playing at her feet. 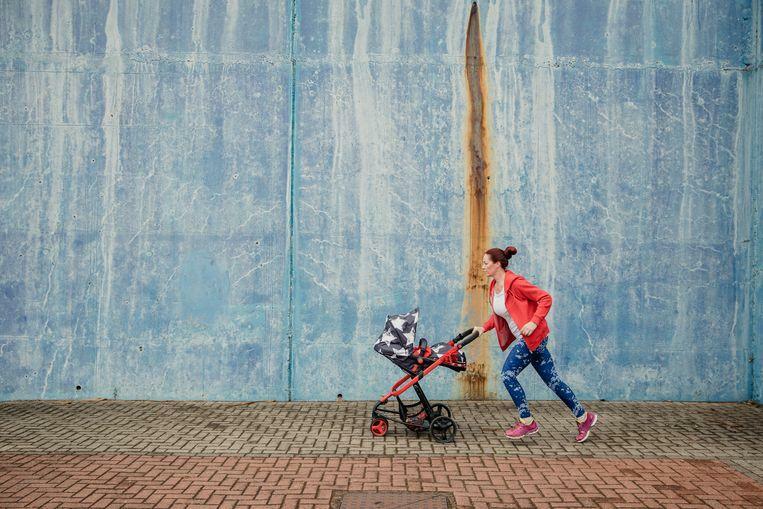 Her husband secretly took the photo and encouraged her to share it to help other parents. “Friends with no kids: “you go to bed at 9 pm? Girl I can’t fall asleep before 11 pm.” Mom friends: “you go to bed at 9 am? Girl I can’t seem to stay up past 8:30.” With four kids I’m way too exhausted to even think about having a life after dark and way to busy to go to bed at a decent hour,” Futrell wrote with the photo.